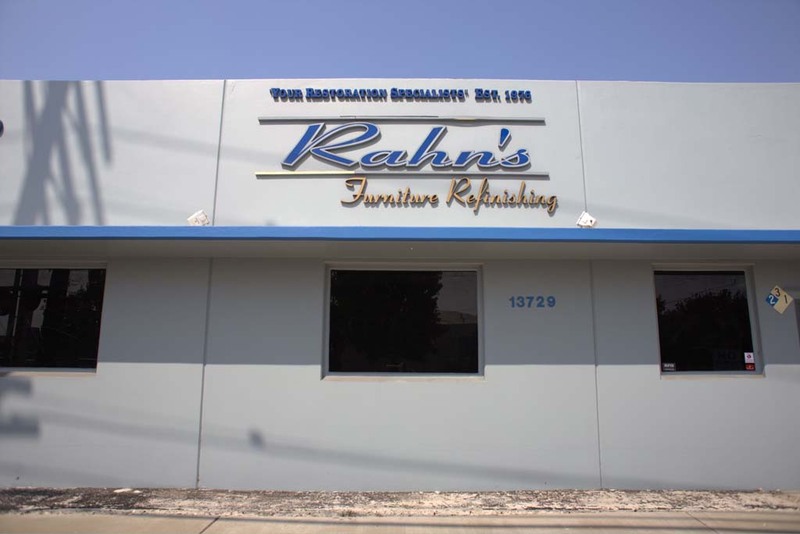 Rahn’s Furniture Refinishing in Los Angeles, CA is your locally family owned Furniture Restoration and Upholstery business with specialized work in water and fire damage restoration services for the Southern California. With over 40 years of experience in the Furniture Repair & Restoration business, many insurance companies refer to us for contents and furniture restoration work. Our Owner Grant decided to start his business in 1976 after a 4-year apprenticeship in this industry. We started as a small shop in Downey, and have grown to our current shop in Santa Fe Springs, which allows us 6,000 feet of working space. Rahn’s Furniture Refinishing's professional and courteous staff gives your furniture a completely revamped look and condition for a long-lasting piece to treasure in your home for decades to come. Our main goal is to preserve the pieces value as much as possible. From our antique restoration to our smoke damage restoration service, we ensure your furniture and home will receive the best care possible. We offer pick-up and delivery services. Install a QR code reading app on your smartphone to scan and convert it to Rahn's Furniture Refinishing contact information. There are no reviews on Rahn's Furniture Refinishing yet. According to our records, this business is located at 13729 Carmenita Road in Santa Fe Springs (in Los Angeles County), California 90670, the location GPS coordinates are: 33.906282 (latitude), -118.047072 (longitude). 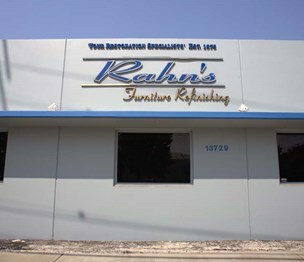 Rahn's Furniture Refinishing is categorized under Chairs: Upholstered On Wood Frames (SIC code 2512). Known organization owner is Nathan Rahn. Current estimates show that the unit has a sales volume of $210,000 and staff of approximately 3 people. You can contact the company by phone at (562) 921-4922; the following fax number is also provided: (562) 921-4664. Business website can be accessed at rahnsfurniturerestoration.com. Open from 7:00 am until 5:00 pm (Monday - Thursday), from 7:00 am until 3:00 pm (Friday). RAHN’S Furniture Restoration is provide Los Angeles Furniture Restoration & Refinishing Services.